Aaron Jerome uses the SBTRKT alias to preserve anonymity and “let the music speak for itself” – his obsession with it may not be as severe as Burial’s, or as gimmicky as Daft Punk’s, but all the same it lends a hand to the eclectic nature of his music. When you think of SBTRKT, you think of Sampha and his angelic vocals which were present on five of the eleven tracks on SBTRKT’s self-titled debut. You think of Little Dragon singer Yukimi Nagano and her familiar vocals which shone on the instantly recognizable ‘Wildfire’, a track that spawned an incessant amount of remixes and plagued nightclubs. A plethora of sounds and moods were present on SBTRKT’s 2011 debut LP and the same is present on Wonder Where We Land. It can seem like the sophomore album from the London-based artist is a celebration of the climate of UK electronic music. It is riddled with sounds that can be attributed to a multitude of house, dubstep and hip-hop artists and as a result SBTRKT’s sprawling soundscape of soulful post-house-electronicastep is something that doesn’t necessarily flesh out instantly. Each track exists in a sort of vacuum and yet almost everything on Wonder Where We Land seems to mingle pretty damn well, like a gathering of depressingly different social groups who realize that they actually do have quite a lot in common with each other. With the first single ‘New Dorp. New York’, a brilliantly curious feature from Ezra Koenig elevates the track into brilliance. Its bassy funk and rhythmic breaks provide it with a unique and satisfying musical backdrop while Koenig’s obscure lyrical homage to the Empire State brings the music out of its shell. 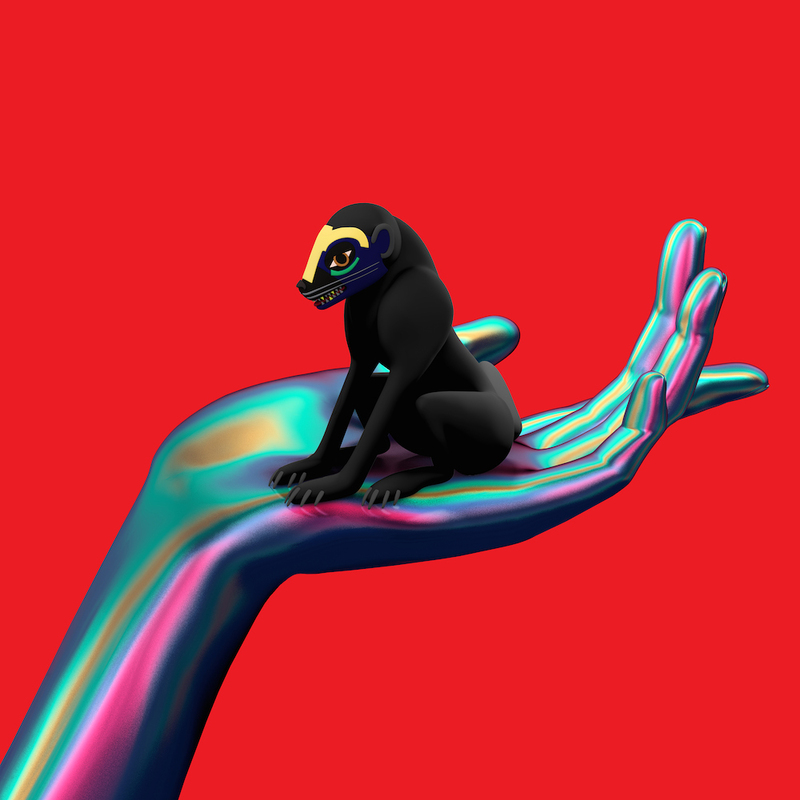 Even then, SBTRKT can rip-roar his way through an instrumental without breaking a sweat, as shown on ‘Lantern’, a hectic, spine-shattering medley of supercharged electronic synths and meaty drum beats. It’s one of the highlights of the album and yet it’s over after two minutes – why the rush? Indeed, Wonder Where We Land packs a hefty 15 tracks in the space of just under 43 minutes and it suffers for it on more than one occasion. By comparison, SBTRKT’s debut clocked in at just over 40 minutes with a healthy serving of 11 tracks and the standouts were the ones that were fleshed out and complete – ‘Heatwave’ and ‘Ready Set Loop’ are the two highlights on that record for me and neither of them include a single feature. Got to make time for those features, though. Some of them are fantastic; others not so much. ‘Higher’ includes 18-year-old rapper Raury bringing much needed energy to vocal proceedings with his monotone flow in rapped verses and contrasting heartfelt croons in sung choruses. On the other end of the record sits ‘The Light’ in which Jamaican-born Denai Moore showcases her beautiful vocals over a jittery, colourful beat. A$AP Ferg, on the other hand, fails to make an impression on the closer and longest track of the record thanks to disjointed production and way off the mark vocals. Perhaps the biggest disappointment on Wonder Where We Land is Sampha’s failure to standout as much as he did on SBTRKT’s debut. Maybe he’s attempting to play the same trick twice, but Sampha stole the show on the 2011 record and fails to even linger in the shadows here, despite still appearing on a respectable four tracks out of fifteen. Title track ‘Wonder Where We Land’ fails to capture the imagination while “If It Happens” is a failed attempt at a ballad. Even the previously released ‘Temporary View’ doesn’t really travel in any sort of positive direction. Only on ‘Gon Stay’ – which is reminiscent of the earlier ‘New Dorp. New York’ – does Sampha showcase his warm, fruitful vocals which have come to be almost synonymous with SBTRKT. Wonder Where We Land seems to suffer from a mild case of claustrophobia in that it can’t seem to space out everything it’s packing and pace it a little more carefully. It is, however, a much welcomed record from a very talented producer with more than enough material to satisfy the cravings of so many types of electronic music fans. Whether you’re looking for soulful crooners, bopping funk classics or rapid electronic exhibitionism, Wonder Where We Land has a hell of a lot to offer and that is easily its biggest strength. SBTRKT Webpage. Facebook. Twitter. Soundcloud. Posted in reviewsTagged sbtrkt, wonder where we landBookmark the permalink.